I started with a 5 1/4" Square Scallop Card cut from SU Coffee Cake paper. 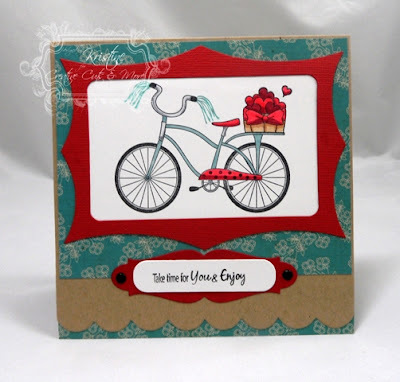 I adhered a panel of patterned paper to the card front and then added a strip to the bottom of the card from the back side to make the scallops "pop"
The frame around the bicycle image is Elegant Rectangle Frame. 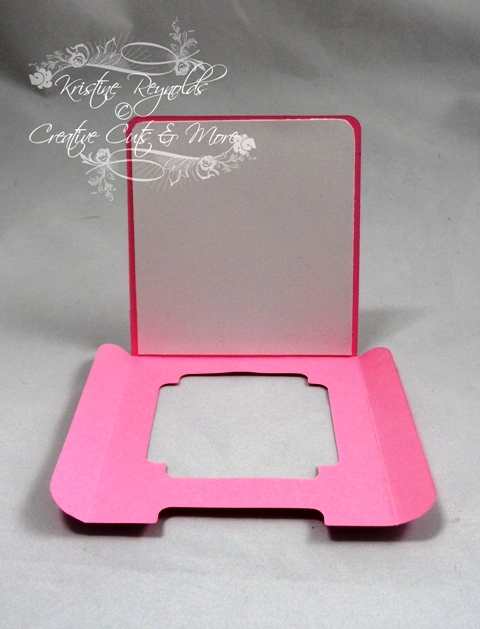 This is one of Flower Soft’s toppers on a Creative Cuts and More Sliding Pop-Up card. I embossed the front/mechanism and pull before assembling with White Tear-able Tape. 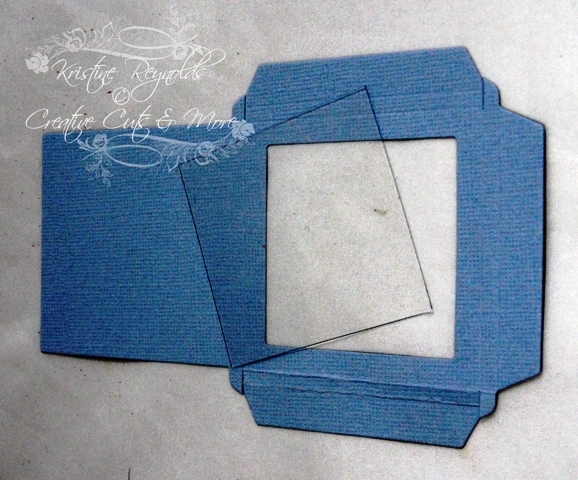 Just My Cup of Tea…a Pop-Up Card! What fun to surprise a friend with a cute Pop-Up card from Creative Cuts and More! It comes pre-cut and scored, just right for you to embellish with your personal touch! Tear-able Tape also makes it so easy to put together! I hope you had a great weekend and that you got a little stamping time. I had lots of stamping time because Hubby was perfectly happy watching the football playoffs with wifey not in the room! I have a fun cupcake slider card to share with you today! 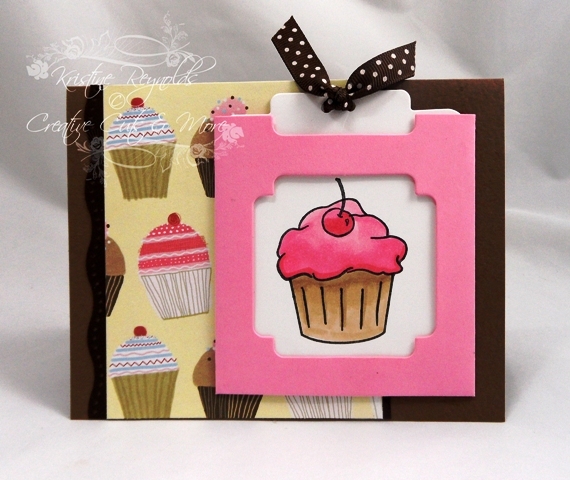 The card started with a die cut Pocket with Window & Tag from Creative Cuts & More. You can choose what color you want each of the pieces to be cut from. 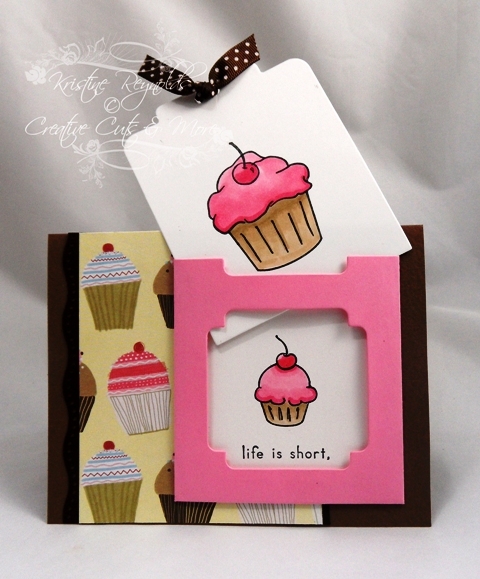 Die Cuts make it so easy to make a fun slider card that will look like it took hours to make. I created a panel from white card stock and adhered it to the back of the pocket. Then I taped the window pocket together with Tear-able Tacky Tape. 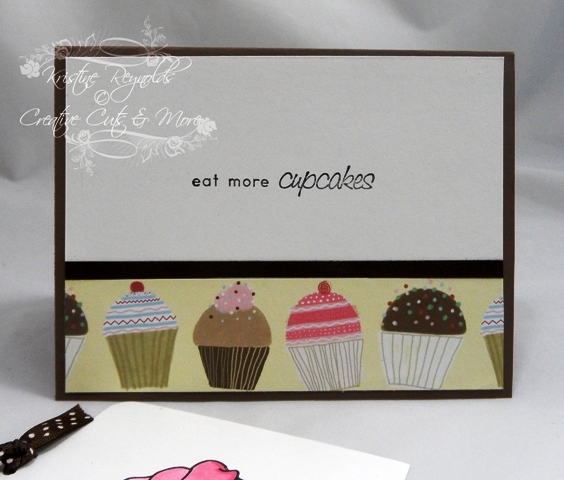 Then I stamped the two white panels, colored them, and added the pocket to the front of my card. 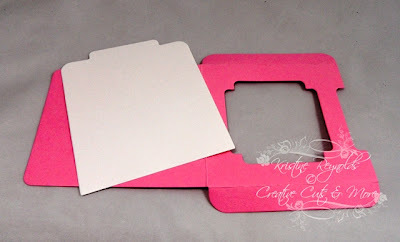 Today I’m sharing this Square Window Square Box from Creative Cuts and More. This is a 3 pc set, top, bottom, and acetate window. It comes pre-cut and scored, ready to decorate, fill and make someone happy! Before taping together with Killer Tear-able Tape, I embossed the top with a pretty embossing folder. I added some flowers and some punched foliage. The sentiment and doily ‘frame’ are from Our Daily Bread designs that I cut by hand. I have a fun little Snowman Shaker card to share with you today. 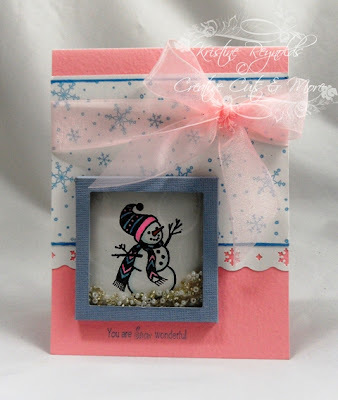 I made it with a Shaker Box with Acetate Square die cut from Creative Cuts & More and stamps by The Rubber Cafe and OCL. 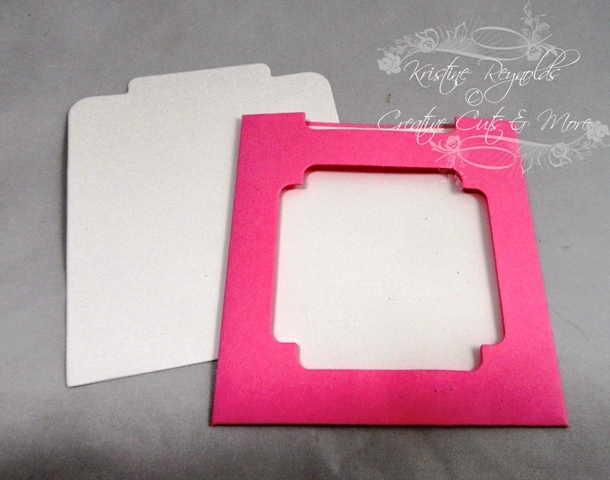 When you order the die cut you have your choice of tons of different colors and type of paper. I chose Splash Blue Bazzill Canvas Textured Cardstock. This is what it looks like when it arrives. It's really easy to fold on the scored lines and put together with Killer Red or White Tacky Tape. 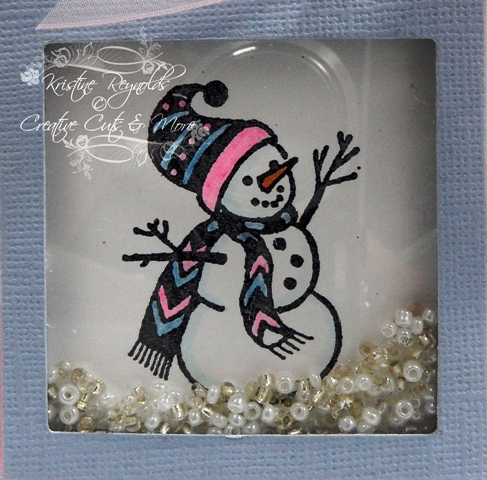 Before closing it all the way up you simply slide your stamped image panel into the shaker box and add beads, confetti, glitter....whatever you want and the close it up. So fun and easy and sure to impress the recipient! I hope you enjoyed my project today and that your 2012 is off to a fabulous start!